Andre Greipel (Lotto-Belisol) won stage four of the 2012 Tour de France in Rouen on Wednesday after a crash decimated the peloton in the final kilometres. Greipel and his Lotto-Belisol lead-out train avoided the crash and the German sprinter enjoyed a perfect lead-out to take his first win in the 2012 Tour. Alessandro Petacchi (Lampre-ISD) placed second, with Tom Veelers (Argos-Shimano) in third. 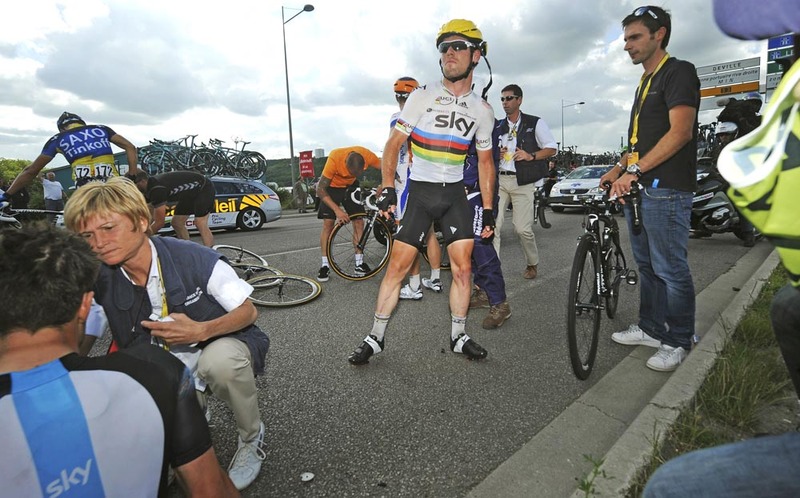 Mark Cavendish (Sky) was one of those caught in the finale crash, injuring his left side. He quickly remounted and rolled into the finish. Sky team-mate Bernhard Eisel was also caught, and came away with a cut above his eye. There was no change to the overall classification, with Fabian Cancellara (RadioShack-Nissan) maintaining his seven-second lead over Bradley Wiggins (Sky) in second and Chavanel in third. The day’s racing was largely dictated by a three man escape group. Yukiya Arashiro (Europcar) attacked after the riders left the neutralised zone in Abbeville, and was followed by Frenchmen David Mouncoutie (Cofidis) and Anthony Delaplace (Saur-Sojasun). The trio built up a lead of over eight minutes at one point, before settling in to a six-seven minute advantage for the majority of the day. After the inevitable catch, an attack by Samuel Dumoulin (Cofidis), Sylvain Chavanel (Omega Pharma-QuickStep) and Wouter Poels (Vacansoleil-DCM) gained some ground in the final 6km but they too were reeled in by the bunch as the pace was wound up. 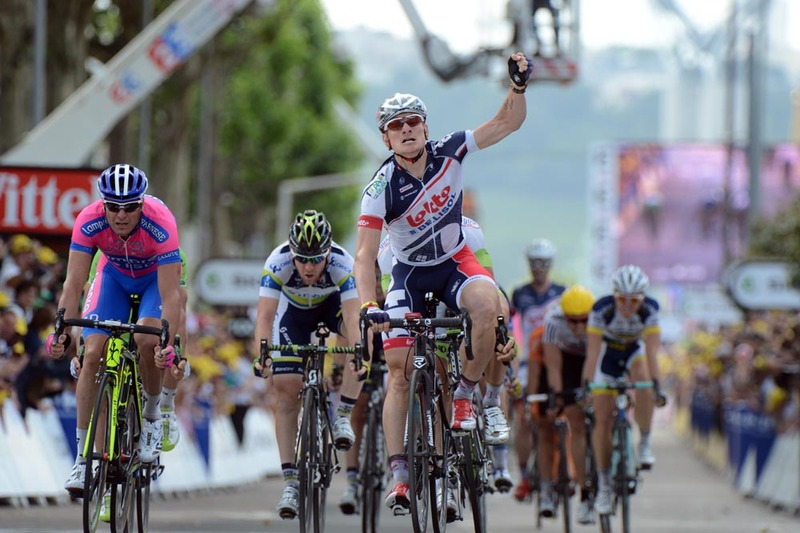 Lotto-Belisol took control and Greipel finished it off to perfection. Sagan’s fifth place means that he extends his lead in the points classification, particularly as Cavendish was unable to contest the finale. Cavendish slips to fourth in the contest for the green jersey. 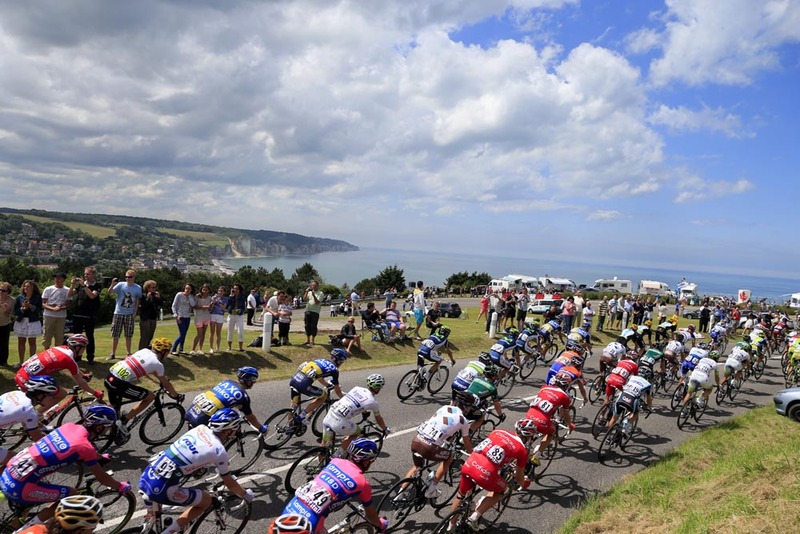 There were three non-starters for the day’s stage as a result of Tuesday’s crashes: Kanstantin Siutsou (Sky), Jose Joaquin Rojas (Movistar) and Maarten Tjallingii (Rabobank).